One of the most important awards shows and organizations (and sadly one you probably haven’t heard of) has just announced its honorees and nominees for the 2015 year. Check out the nominees below then make sure and follow this group and the important work they are doing! 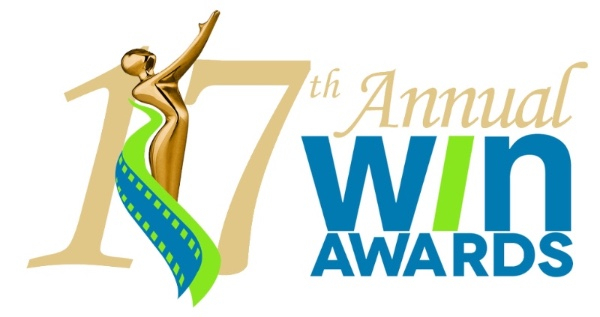 January 8, 2016 (Los Angeles)—Women’s Image Network (WIN), a charitable organization honoring men and women whose outstanding artistry advances the value of women and girls, announces its Women’s Image Awards honorees and nominations. The invitation-only reception and seventeenth WIN awards ceremony will be held on Wednesday, February 10, 2016 at 7 PM at Royce Hall UCLA. The Women’s Image Awards will not only celebrate two incredible WOMEN OF THE YEAR Honorees: Irena Medavoy and Abigail Disney, but WIN will also applaud dozens of deserving nominated film and television artists whose outstanding work also promotes gender parity. Abigail Disney said of her Woman of the Year WIN tribute, “I’m so honored to be recognized by the Women’s Image Awards. I have been to many kinds of countries–some where women are valued and many where they are not–and I have been amazed at the difference that a positive image of a woman makes not only to the well being of women themselves but to the welfare and success of society as a whole. If the human race wants to stop surviving and start thriving, it would do well to look to women for a new kind of leadership”. About her WIN tribute Medavoy said: “You say ‘yes’ when you are invited to be honored by an organization like WIN that stands for what you believe in. The Women’s Image Awards are recognizing men and women who are standing for the positive image of women and celebrating their artistic achievements. But I equally share this award with every one of my amazing co-chairs who also work to make this world a better place for women and girls. I learned from my first boss, Tichi Wilkerson, the first woman editor-in chief of The Hollywood Reporter who also was the very first WIN honoree, about women helping each other. Tichi said the formula to success in life, both personally and professionally, is when women are valued then society benefits. Point each other out. Raise each other up. Give Credit all around. Connect each other so our strength in numbers multiplies. Thank you WIN, for what you do”. Since 1993, Women’s Image Network has produced The Women’s Image Awards to honor media artists who create dimensional female images which promote the value of women and girls. A few illustrious WIN Awards presenters include: Ambassador Nicole Avant, Joely Fisher, Cheryl Hines and Joyce Giraud. The passionate evening Co-Chairs are: Ambassador Nicole Avant, Joyce Arad, Rosanna Arquette, Florence Azria, Red Barris, Danielle Del, Roma Downey, Wendy Goldberg, Lysa Heslov, Ghada Irani, Yue-Sai Kan, Lauren King, Jena King, Lyn Lear, Jane Nathanson, Lynda Resnick, Sybil Robson Orr, Florence Sloan, Jennifer Stallone, Alia Tutor, Cynthia Yorkin and Erica Wertheim Zohar. A few previous Women’s Image Awards recipients and honorees are: Dame Elizabeth Taylor, Senator Barbara Boxer, Angelina Jolie, Lily Tomlin, Laura Ziskin, Cecilia DeMille Presley, Ambassador Swanee Hunt, Maria Arena Bell, Jane Campion, Lynn Redgrave, Lauren Shuler Donner, Lauren Bacall and Catherine Hardwicke. After spending 17 years producing The Women’s Image Network Awards to address disparity it seems the facts of entrenched gender inequality in Hollywood have now reached a zeitgeist. Hollywood mistreats female actors, writers, producers and directors and they are now galvanizing and speaking out en masse. Emma Watson is not afraid to call herself a feminist— despite bad advice she’s been dealt in the past. The Harry Potter star delivered a much-praised speech at the U.N. Solidarity Movement for Gender Equality HeforShe launch event, encouraging men to fight for women’s equality across the world. Moreover, in 2015 ELLE gathered Mary J. Blige, Ava DuVernay, Meryl Streep, Carey Mulligan, Salma Hayek, Amy Schumer, Zoe Saldana, Kate Winslet, Dakota Johnson, Alicia Vikander, Gena Rowlands, Cheryl Strayed, Reese Witherspoon, Stella Banderas and Melanie Griffith who addressed gender disparities. Jennifer Lawrence and Amanda Seyfried decried Hollywood wage gaps, while Boyhood star, Patricia Arquette used her Oscar speech stage time to say: “It’s our time to have wage equality once and for all, and equal rights for women in the United States of America”. In addition to producing The Women’s Image Awards, Women’s Image Network has also created and produced the Primetime ABC Special FIFTY YEARS OF FUNNY FEMALES with John Ritter, Debbie Allen, Paula Poundstone and Annie Potts and The WINFemme Film Festival to promote independent films with female protagonists. To attend the Women’s Image Awards, to secure tables and tickets or to place a congratulatory program page, please contact Leslie Campbell 310-229-5365, email Asst1@TheWINAwards.com. January 11, 2016 in Honorees, Nominations, WIN Awards, Women's Image Awards. Great to see Cynthia Addai Robinson finally recognized for her performance as Emily West in Texas Rising. When does the WIN Awards air?